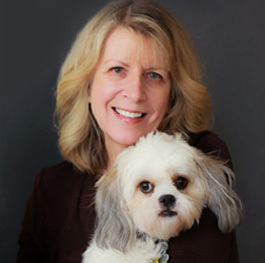 Deborah Addario earned a Bachelor’s Degree in Psychology and a Master of Social Work from the University of New Hampshire. Deborah worked for many years in a community mental health center, with children, adolescents, and families. In 2007, she went into private practice and shortly after became a partner at Exeter Counseling. Deborah works with children, adolescents, adults, and families. Her treatment approach is based on the modality which will be the most effective and will garner a positive outcome. Modalities of treatment include Cognitive/behavioral Therapy, Trauma Focused Cognitive/Behavioral Therapy. Dialectical Behavioral therapy (DBT), EMDR, Solution Focused & Strength Based therapy, Sensorimotor/Body Oriented Therapy, Mindfulness Based Therapy, Family Therapy, Family Systems, Play Therapy, Evidence Based Therapy, Emotional Freedom Technique (EFT), attachment therapy, and Parent Skills Training. Deborah specializes in working with adopted children and children who are in the foster care system. Treatment focuses on Attachment Theory and addresses trauma, abuse, loss, abandonment, and grief. This is a family centered approach and actively involves the child’s attachment figure(s), in treatment. Treatment is also enhanced with the addition of her Certified Therapy Dog, Lilly. She is a 16 pound Shih Tzu/Poodle mix breed. Animals can assist the therapeutic process and can provide many positive benefits. Several benefits of pet therapy include, lower blood pressure and a release of endorphins that have a calming effect. Petting a dog produces automatic relaxation response, lifts spirits, provides comfort, and increases focus.